Do you remember when you were younger and were asked what you want to be when you grow up? Although you may have been able to decide without anything holding you back and you could pick whatever career you wanted, when you are that young you don’t know of all the actual possibilities. You know the basics, the most well known jobs like a lawyer, dentist, or firefighter and maybe what careers your parents had. So it is easy to say that you want to be this or that. However, as you grow up, you get faced with an infinite possibility of job opportunities that it can become a complicated process. You may have been unlimited when you were younger, but now that you know of all the different career options, you know for a fact it’s limitless. At the same time, it is great because you have the ability to think out of the box to give in to your curious cravings of particular careers. You have the option to try whatever you may be interested in. The trouble now is that you are overwhelmed with the possibilities and don’t know what one fits you. Maybe you are considering switching jobs. There’s no point trying to fit a square peg in a round hole. Or maybe you just want to find out what career you truly want and that will be most rewarding to your life. To do that you can follow the next 7 step evaluation to figure out what career you want. Don’t fall into the idea trap that you can figure out what you want with a quiz or simple research. Finding the career that fits you takes time and energy but can ultimately be done in 7 insightful steps. Step One. You can’t simply glance at your past to see what may suit you perfectly. But if it is filtered through carefully, history can show us our best experiences in addition to what made them so great. Too many people stop looking at their past when they remember the experiences they enjoyed and don’t ask why. Why did you think of that memory? Why was that experience so special? Why is it a good reflection of what you want to go into? Always ask why your most memorable moments were made so. Step Two. When you are looking back at your brightest and most successful moments, you may also recall not-so-great memories. The second step to figuring out what career you want is to create a list of things you don’t want to do. As it was expressed, the number of possibilities is endless. It’s a lot easier to lower the number of options by cancelling out all the careers you have absolutely no interest in. This will lighten the load and stress level. It is also much easier than trying to sort all of the options by the ones you want, which is a much narrower number than what you don’t want. In the state of limitlessness, limit yourself to only what you want to do. Step Three. Now that you have exhausted the past, it’s time to look within yourself at the present. What interests do you currently have? What hobbies do you like? Is there any way you can shape them into a way to make money? This exercise is to get you to find out what career you would be most motivated to do. Just like you need goals that fire you up in order to make those accomplishments, you need to find a career that you can get fired up to do each morning. Step Four. If you have few particular interests, now it is okay to take career quizzes and placement tests. Even if you do have a number of hobbies and interests, you can take career tests to confirm the area of interest you want to go into. Taking the tests may open your eyes to different job positions you can take in the field of interest that you did not know about. Online career quizzes are extremely beneficial, the only time they can be counterproductive is when it is the only resource you use. Step Five. 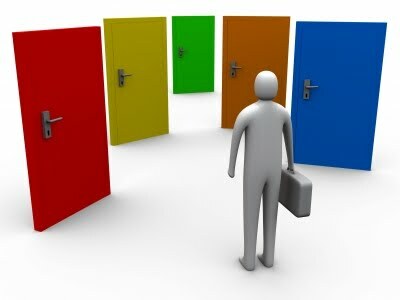 Very often the career options the quiz results provide will also give a short explanation of what the career entails. Now that you have ideas of what suits you, you can really begin researching the details of different careers. Begin looking into books written about the career and what books have been written by the people in that career. It’s a regular occurrence that a person will find a job they like but certain details and duties the job requires may not coincide with exactly what they want to do or are good at doing. The best way to prevent that from happening is to do your research. Step Six. Now that the ability to socially connect with almost anyone has become easy, talking to others about career options is the biggest trend to find out what career you want. Talking to other people about the occupation of your interest will often help make the final decision. It began with talking to family members and friends about different jobs but the problem arose that those closest to you will tell you what you should do rather than give feedback and advice on what you are interested in. The biggest roadblock to finding out what career you really want is listening to what other people want your career to be. It can be helpful to connect with family and friends but it is ultimately beneficial to connect with people in the careers you have set as options. You can find hundreds of blogs online of people writing about their job experiences and most careers have Facebook groups that you can join and connect with. Step Seven. The seventh step is to get firsthand experience on your career options. You can do this by volunteering, applying for internships and simply starting to work at a job you may not want to do but is in the industry you want to be in. After you have reached out and connected with people in step six, all you have to do is ask them if you can have an interview or if they can give you a tour of their job. Nothing will give you more confirmation on if a career is the best option for you than talking and interacting with people that are already in the industry. While you may think that going after the job that best suits you would make you the happiest, you will actually be happier if you have all of your other needs met. It is to your advantage to prioritize your needs of your current circumstance to help determine what career fits you. While searching for your perfect career you still have to remain realistic. Also, sometimes it is not about what skills you have, it’s what skills you can gain and get accustomed to quickly. It is rare that someone can find the career they want and get it right away. You may have to work up to it. In the end, if you follow the seven step process of discovering what career you truly want, you will not only be happy and content with the choice but also happy in knowing it suits your lifestyle, experiences and skills. Next post: Should You Rollover Your 401K?